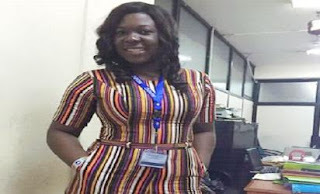 Officials of the Department for State Security DSS in Rivers state yesterday arraigned one Sotonye Martin, the boyfriend to a female staff of Niger Delta Development Commission, NDDC, Sophia Phillips Horsefall, and two others, Innocent Oluche and Wachukwu Ugochukwu, before a Port Harcourt magistrate court, for allegedly stabbing her to death on November 8th after she refused to make him, Sotonye, her next-of-kin to her bank account as well as her refusal to give him one million (N1 million) he had demanded from her. According to Vanguard, Sotonye who has a 13 year old child with the deceased, lured her to his friend, Innocent Oluche's house where she was killed. After the act, the men dug a shallow grave, invited Wachukwu Ugochukwu, a spiritualist to perform some rituals and then buried her. The accused persons did not take plea. Chief Magistrate F. Alikor after hearing the submission of the DSS Counsel, referred the casefile to the state Director of Public Prosecution, saying her court did not have jurisdiction to entertain matters over murder which was the second charge. She ordered that the suspects be remanded in prison and adjourned the case indefinitely. Speaking to newsmen after the case was adjourned, elder brother to the deceased, Amatu Phillips, accused Sotonye of murdering his sister whom he had dated for 13 years, because of her wealth. He claimed she had some money in her account and confided in the boyfriend who later kept on pestering her for financial support. According to him, after the sister had allegedly given him money several times, he came again demanding for N1 million which she refused. He alleged that the boyfriend later lured her to his friend’s house, offered her a fruit juice drink which, unknown to the sister, was drugged. He alleged that when the boyfriend noticed that she was dizzy from effect of the drug, he stabbed her on the neck, demanding her ATM card and password.